The Carlisle PC140N01 brown Cateraide insulated, top-loading food pan carrier features quality construction. It is sized to accommodate one full size food pan up to 4" deep, or fractional food pans up to 4" deep. Its self-venting design, polyethylene insulation, and airtight gasket combine to ensure excellent food quality and temperature retention. Four durable nylon latches close securely and enable easy transport, while convenient molded-in finger notches, allowing you to easily load and unload heavy food pans. 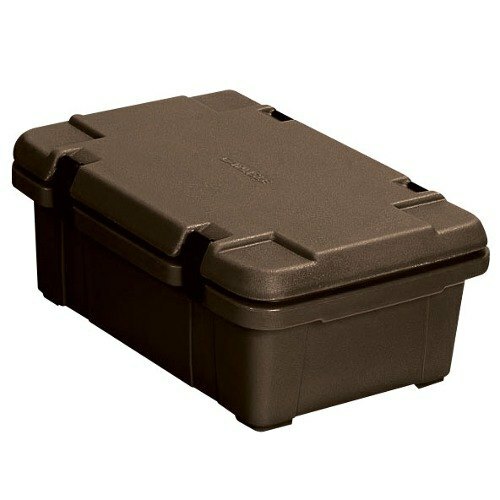 Thanks to a solid polyethylene construction that is scratch and stain resistant as well as its high quality polyurethane insulation, this 6" deep top loader is heat resistant to 200 degrees Fahrenheit and holds food at safe serving temperatures for hours. 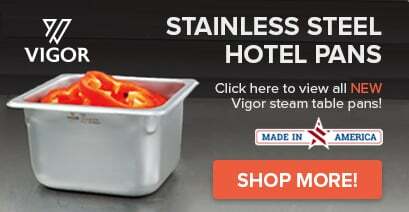 With its sleek, contemporary design, it is perfect for using at your elegant buffets and outdoor parties, and is durable enough to handle daily transports. these are great for long distance catering trips and even during events. These pan carriers are so helpful and makes customers happy when the food is piping hot!